This chapter analyzes inconsistency issues in spatial databases. In particular, it reviews types of inconsistency, specification of integrity constraints, and treatment of inconsistency in multiple representations and data integration. The chapter focuses on inconsistency associated with the geometric representation of objects, spatial relations between objects, and composite objects by aggregation. 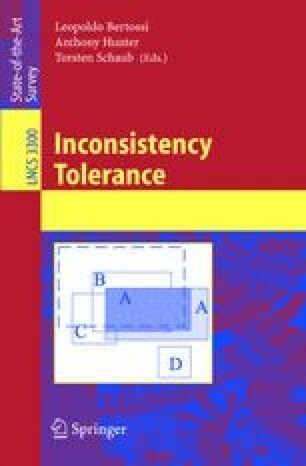 The main contribution of this paper is a survey of existing approaches to dealing with inconsistency issues in spatial databases that emphasizes the current state of the art and that outlines research issues in the context of inconsistency tolerance.